We all experience stress, some perhaps more than others, but with the continuing demands of our working lifestyles and the commuting and/ or travel that often follows alongside, we can all find ourselves tirelessly absorbed by stress quicker than we first may realise. Linked to the areas of the brain governing our instincts, memory and emotion, our sense of smell is the most primitive of our senses. Through the pathways between smell and the deep centres of the brain, there’s one incredible thing that can have a dynamic effect on our emotional state: essential oils. Not only do essential oils pleasure our senses, they can similarly aid our moods and transition us from one mindful state to another. Thankfully, we have discovered the powers of aromatherapy; the most natural way to de-stress both mind and body. Aromatherapy Associates – this month’s iconic Haul of Fame Most Wanted – offers the ultimate de-stressing solution to help unwind busy minds. If you’re currently experiencing a restless mind, are having trouble sleeping or have general feelings of stress after the working week is done, this de-stressing cocktail is sure to alleviate symptoms and help you kickstart your journey to a calmer mind. Take a few drops of the Aromatherapy Associates De-Stress Mind Oil and apply to pulse points on the neck, wrists and feet. On the go, carry the Aromatherapy De-Stress Mind Roller Ball, a handbag friendly option that will keep you calm at your desk or as an in-flight solution on your travels. Create your own cocktail calming spray by mixing a few drops of the De-Stress Oil with water in a spray bottle and mist over pillows and sheets, inhaling deeply at night to help you drift off. Alternatively, you can use your favourite pillow spray and add a bag of fresh lavender underneath your pillow. Like our minds, our bodies can too become stressed. Whether you’ve overdone it at the gym, been adventurous on your travels or have a very physical job, it’s likely your body, and your muscles in particular, are taking the heat of stress. Very much applauded within the world of beauty, the true power of essential oils and the incredible effects they have at a therapeutic level is explored heavily by cult brand and leaders in their field, Aromatherapy Associates. Combining expertly blended essential oils with unique active botanicals has led to remarkable innovations in skin and bodycare. Heralded as the must-have solution for muscular aches and pains, essential oils also work towards improving circulation and have a very positive effect on the skin. Penetrating into the deeper layers of the skin to encourage the process of cellular renewal, while enhancing blood circulation, if you’re suffering from an overexerted body (an intense workout or spending too long in one position would do it), this cocktail of products – including this month’s Haul of Fame Most Wanted – and ingredients will prove beneficial to your primary wellbeing. The silver lining to enduring very achy muscles is the fact that you can take time out for yourself, treating your body to a long soak in the tub (don’t forget your favourite candles!). Nothing alleviates sore limbs quite like a warming bath with waters enhanced by a few drops of the Aromatherapy Associates De-Stress Muscle Bath & Shower Oil (add to your box). Only a few drops of this bath hero are needed to allow you to sit back and fully bask in the glory and aroma of this relaxing and enriching oil. Not only will you feel the benefits on your skin as the oil cocoons your body, your muscles will also start to feel less tense. Combining this oil with the brand’s De-Stress Muscle Gel and some Epsom salts will enhance your experience; conjuring a warming aroma of rosemary, black pepper, lavender and ginger. What people may not realise is that stress can take its toll on many areas of our bodies, including our skin. When we’re feeling stressed, our bodies work harder to keep us going. The results of stress aren’t just limited to our mind and how our bodies feel, when symptoms are heightened, they also start to show on our skin. How our skin looks has a lot to do with what’s going on inside; it’s one of the first signs that something isn’t quite right. If your skin is looking and feeling a little worse for wear – think dry, flaky and lacklustre in appearance – then it’s likely alarming you to inner stress. This month’s iconic brand, Aromatherapy Associates – loved by beauty editors across the industry – has delivered a targeted range of essential oils that have been designed to have a positive effect on the skin, penetrating into the deeper layers to encourage the process of cellular renewal while enhancing blood circulation to tackle common skin woes such as acne, eczema and signs of ageing. For the body, mix a few drops of this month’s Haul of Fame Most Wanted product, the De-Stress Muscle Bath & Shower Oil with your favourite body scrub and gently massage into the skin before showering. This will allow the warming powers of rosemary, black pepper, lavender and ginger essential oils to ease away the stress of the day while lightly exfoliating the skin. When it comes to your facial skincare routine, feed your skin what it needs with the brand’s set of results focused Face Oils. Our skin is constantly changing, exposed to varying emotional and environmental factors, such as the weather, stress levels and hormones, so it is important to adapt our skincare regime accordingly. Available in an iconic discovery kit, you can experience six oils from Aromatherapy Associates that provide daily solutions to your skin’s needs. Check it out. Aromatherapy Associates want to give LiB members the chance to try more products from their outstanding line-up. 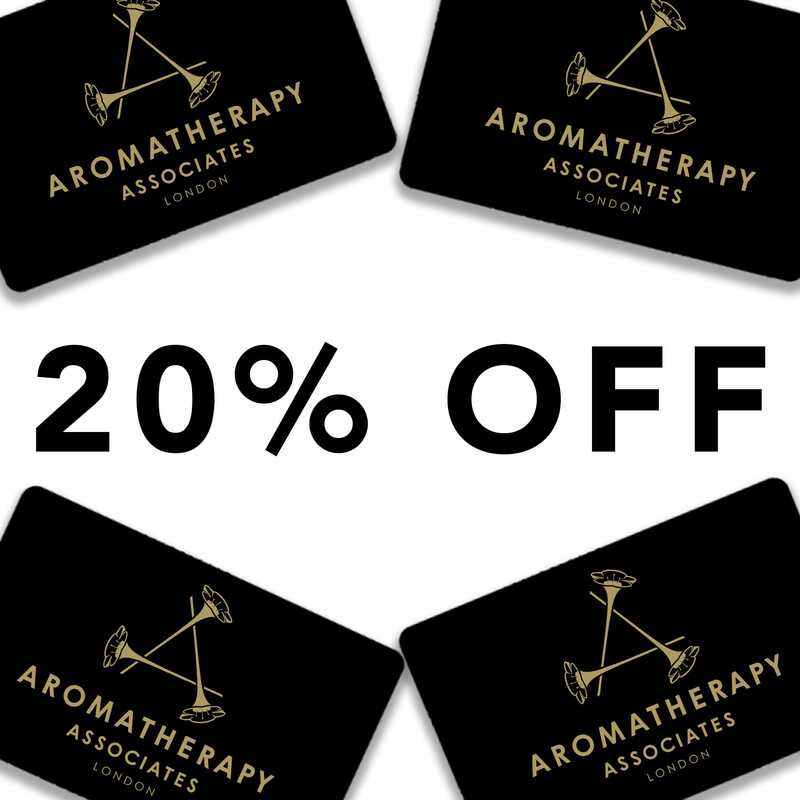 LIB20 with entitle YOU to 20% OFF full price products online at www.aromatherapyassociates.com. Not in conjunction with any other offer. 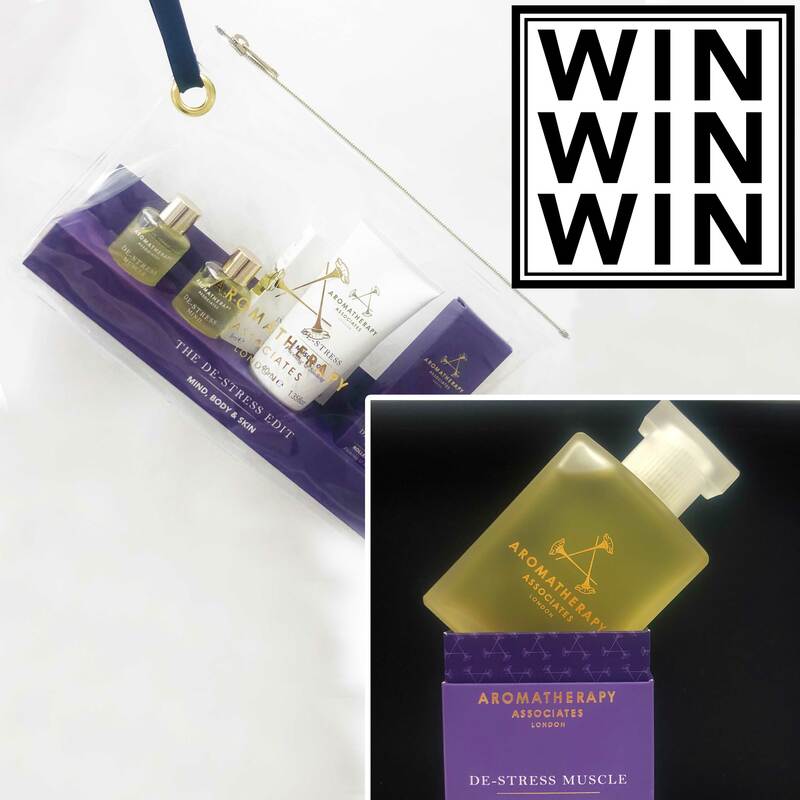 We’re giving away 3 Aromatherapy Associates De-Stress Edits (pictured above) to 3 lucky winners, PLUS 4 FULL SIZE De-Stress Muscle Bath & Shower Oils for 4 runners up. Competition closes at 11:59pm on 17 April. UK entrants only. Any entrants outside of the UK will automatically be disqualified. Winners will be contacted within 14 days of the competition closing and have 30 days from being contacted to claim their prize. 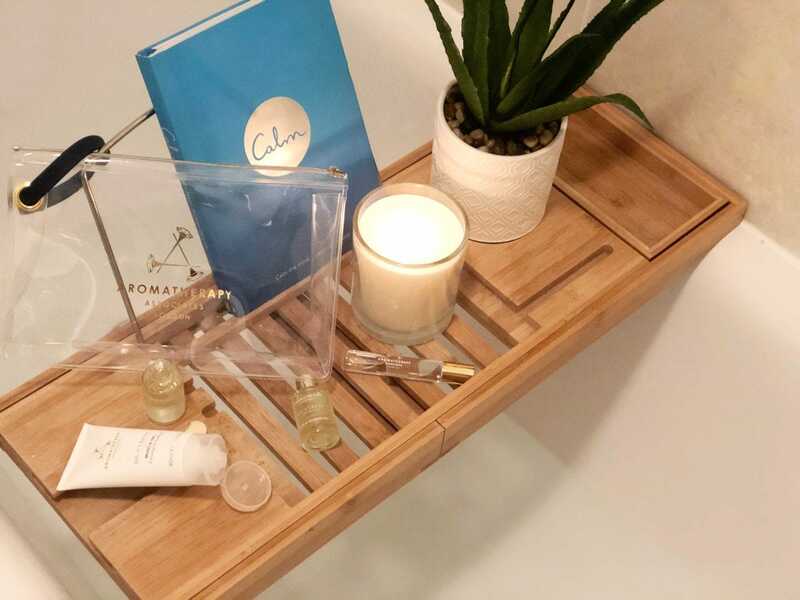 Let us know your favourite way to de-stress with Aromatherapy Associates on Twitter. Not tried it yet? Add it to your box.